John Coghlan was a founding member of Quo and was part of the highly regarded classic line-up nicknamed the Frantic Four along with Francis Rossi, Alan Lancaster and Rick Parfitt. This was a rare chance to see a true Rock legend play such an intimate venue. John Coghlan's Quo rocked the Pot for a full two hours, a longer set than the current line up of Status Quo play. Opening with a thunderous rendition of Junior's Wailing followed swiftly by Roll Over Lay Down, In My Chair and April, Spring, Summer and Wednesdays, this was very much a case of heads down and boogie. The set as promised delivered on songs from Coghlan's time in Quo. As well as the classics some lesser-known songs were featured including I Saw The Light, A Year, Blue Eyed Lady and Night Ride some of which were played on the recent Frantic Four tours. Next up were Down The Dustpipe, Railroad, one of the best versions of Pictures Of Matchstick Men I have ever heard, Paper Plane, Rain and Hold You Back which went down really well with the Quo fans in the crowd. The set finished with a blistering take on Roadhouse Blues. A great show and the audience still wanted more. John Coghlan's Quo returned to the stage to play Caroline and ending the night with Quo's only Number One single, Down Down. 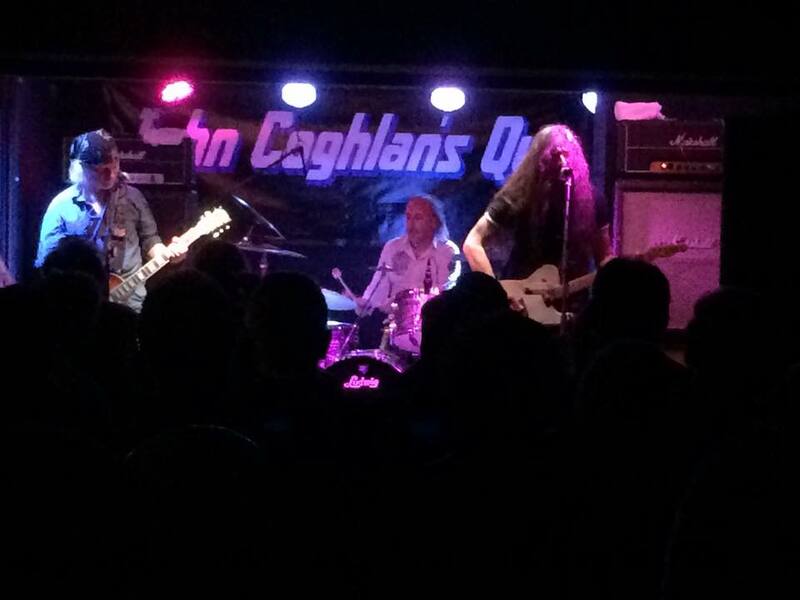 A great night and a triumphant set, showcasing the best of John Coghlan's era in Status Quo. The gig pleased both Quo followers and live music fans alike.